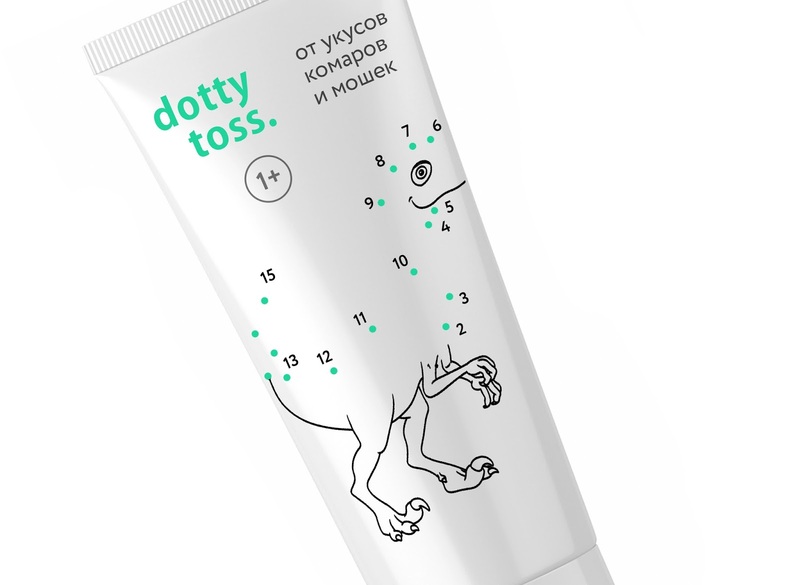 The style of packaging of a child's remedy for mosquitoes "dotty toss." 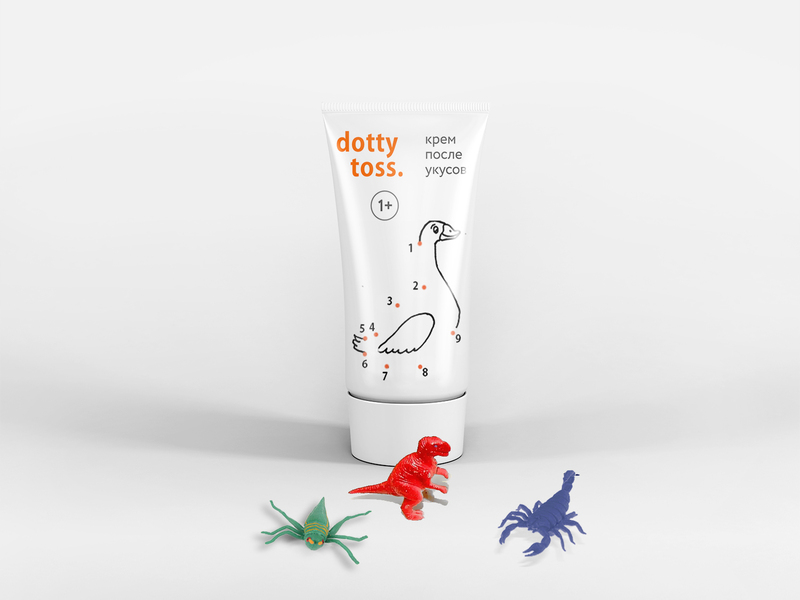 is based on the style of coloring, in which you need to consistently connect points to create a contour. The figures in these colorings circulate around the animals being drawn, like bothersome mosquitoes and midges around children who do not use our remedy. 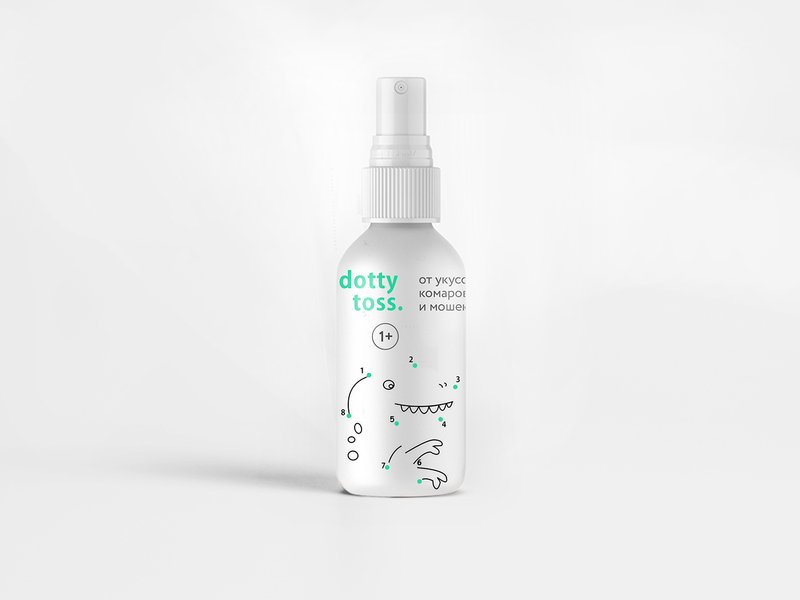 Thus, the familiar negative associative translates into something easy and carefree, like the life of parents and the children themselves who use "dotty toss.". 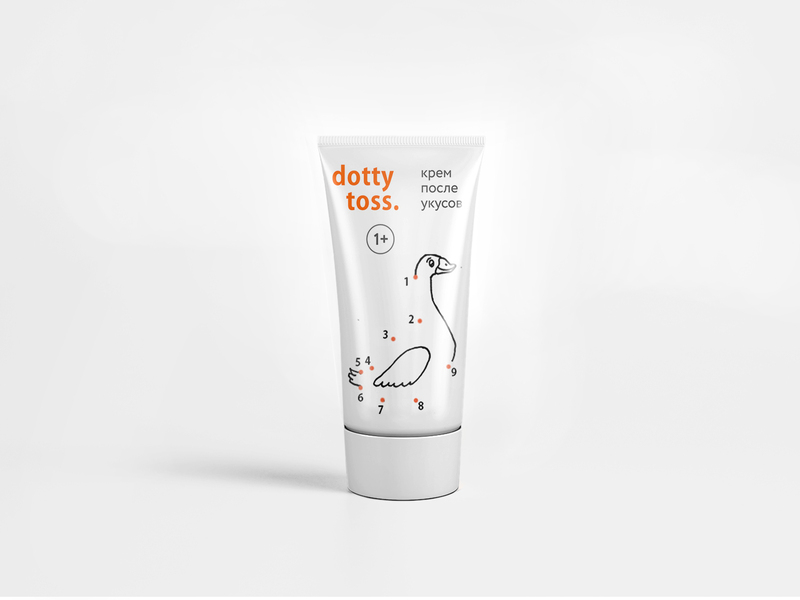 The remedy is intended for the smallest, which was important to point out on the packaging.